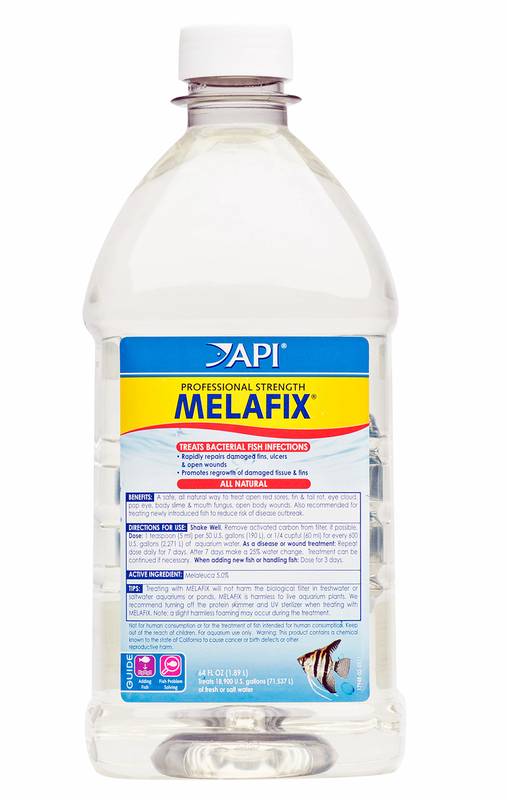 MELAFIX is a natural and safe way to treat bacterial infections in freshwater and saltwater fish. The active ingredient Melaleuca is derived from the Tea Tree and if used according to the directions will rapidly treat bacterial infections and repair open red sores and wounds. Works equally will on fin and tail rot, pop eye, body slime and mouth fungus on fish. Also used in commercial aquatic farms to control bacterial infections and tissue degradation. Mellafix can be used in all freshwater and saltwater aquariums. Treating with Mellafix will not harm the biological filter in saltwater aquariums.